Lady Zamar's jumpsuit is Twitter's new target, John Legend does his fans proud, and Queen Bey makes us jealous with her birthday pictures. This and more in Tuesday's #HotGoss with Jane. 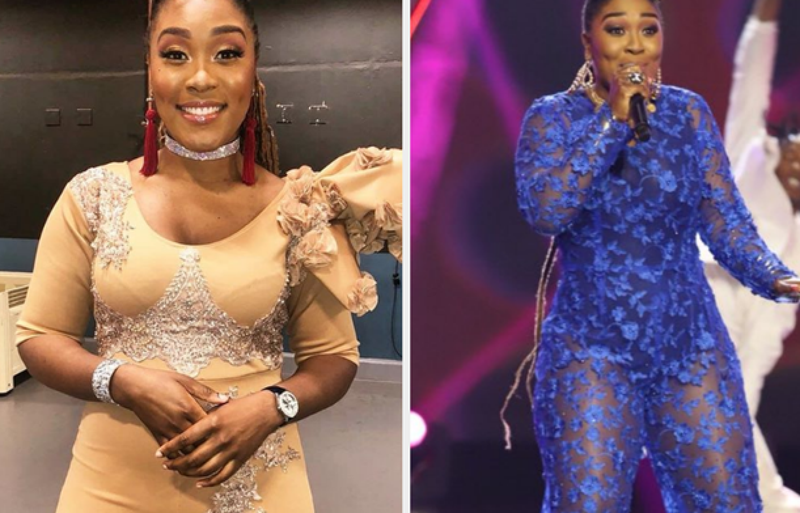 'Collide' hitmaker, Lady Zamar, is making headlines - this time it's about the jumpsuit that she wore at her performance this past weekend during the 'Idols SA' Top 10 announcement. Her voice was epic, but it seems that her lacy blue jumpsuit was an epic failure in the eyes of her fans on Twitter. Twitter was on fire following her performance, with many dragging both her and the designer for the outfit choice. See the reactions below. This was not the first time Lady Zamar got called out for her jumpsuit. According to The Sowetan, her peach jumpsuit at the Miss SA pageant left everyone talking about it for days on end. Some even called her a 'Tellytubby'. Twitter spares no one. Should Lady Zamar's jumpsuits fall? Vote in the poll and let us know your thoughts. John Legend's Emmy win makes history - and we're beaming! John Legend fans around the world were over the moon when they heard of him receiving EGOT status at the 2018 Creative Art Emmys. In case you didn't know, EGOT status refers to a winner who has won an Emmy, Grammy, Oscar, and Tony Award. At just 39, not only is he the youngest to have reached this status, but he is also the first black man to do it - talk about #Levels. His wife, Chrissy Teigen, took to her Instagram to share an adorable video of hubby placing his award safely at home, showing how proud she is of him. "And I say hey, what a wonderful kind of day," she wrote in an Instagram post. Queen Bey recently celebrated her 37th birthday on 4 September and used the day to flood our Instagram feed with snaps of her and her hubby, Jay Z, enjoying a vacay in Italy. Not only did she make us jelly with the pictures, she also took the time to share a reflection post on what she accomplished during the past year. It's enough to make you green with envy. Read: Beyonce and Jay-Z leak nudes! “At 36, I became a new mother of 3. I breastfed twins. I renewed my vows with my husband of ten years. I came back home to the stage to do Coachella, after pregnancy. Then my husband and I released our album together, Everything Is Love. And we’ve been touring with our family around the world, and loving it. This year has been monumental for me,” she captioned a sweet photo of her and Jay-Z celebrating her birthday on vacation. “I thank God for everyone in my life. Thank you for all the positivity and for the beautiful birthday wishes. I’m looking forward to continuing to learn from my past, living in the present, and surrendering to the future. I love you, Hive. B," she wrote. If this is what she got through in one year, who knows what the future has in store for our beloved Beyonce? !